What care is your air carrier obliged to provide you with when your flight is cancelled or delayed? What is good to know before you rent a car? How to claim goods in the EU? You will learn about it if you come to the fair Holiday World 2012 at the Praha-Holešovice fairground from Thursday February 9 to Sunday February 12 and if you visit the CZ ECC's stand. 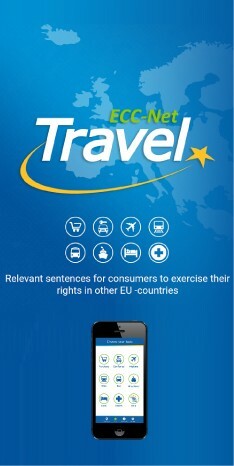 Foro several years, there have been unified rules for travelling across the EU, e.g. concerning air passenger rights, but many people still do not know their rights or they do not know how to enforce them. ECC will provide you with the respective information. At the stand in the “veletrzni hall” (red hall, section 450, stand No. 11), we will provide you brochures with information about your rights when travelling by air, when claiming goods in other EU countries, how to proceed when renting a car and about your rights online. The picture above was taken at the fair Tourism Expo in Olomouc in which the CZ ECC participated with its stand last month.